In then event of a disaster, its important to be able to perform basic cooking functions. Boiling water and heating food are necessary to basic survival. Boiling water before drinking it kills most harmful bacteria and viruses. 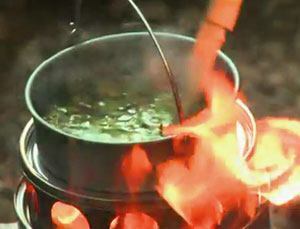 In addition, most survival food is dehydrated and prepared by adding boiling water. Many homes contain canned food and be able to heat it, provides conformt in an otherwise uncomfortable situation.